Many of us will have a fee charging current account (also known as a Packaged Bank Account), one that we pay a fee for every month. But do we really know WHAT we are paying for. For example the Lloyds Bank Platinum Current account attracts a monthly fee of £17 (£204 per year). The main benefits include travel insurance and AA breakdown cover. Or the Natwest Black account at a whopping £24 per month (£288 per year). The benefits provided by many of these accounts may well appear attractive, but if you don’t own a car or travel abroad frequently, then you may well be paying for insurance policies that you will never claim on. Many of these accounts were mis-sold to consumers. ‘Time and again we hear clients tell us that the packaged bank account they have been paying a fee for, sometimes for 10 years or more, was sold to them when they went into the bank to take out a loan. Time and again we hear that the bank’s loan advisor told our client that they would get a better rate on their loan if they upgraded their bank account to a ‘premium current account’ product. On the face of it that seems like a good idea, upgrade your current account and get a lower rate on your loan? However, rarely was this a good deal, other than for the bank. If you take out a £5,000 loan over 5 years, and even if you save 1% by taking out the premium current account, the total saving on the loan will not exceed £150 over the 5 year term. 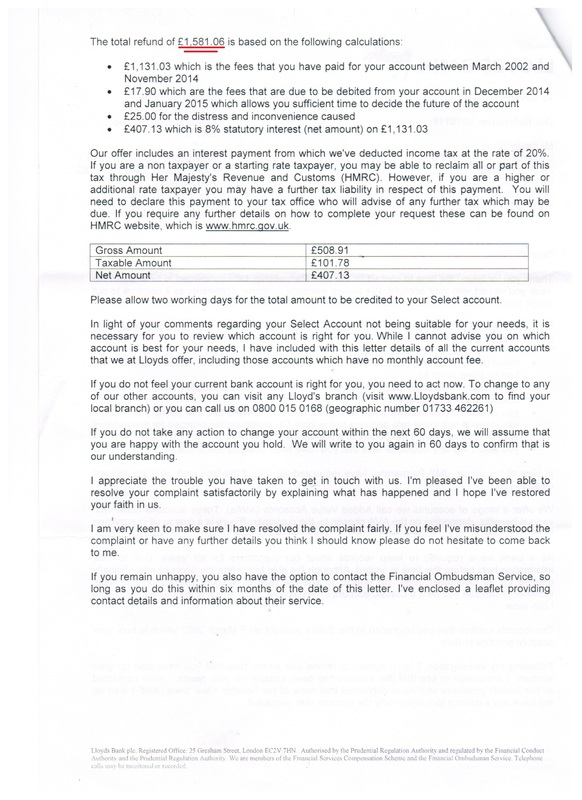 If the fee on the premium current account is even £10 per month, over 5 years you will pay £600 to the bank in fees. ‘We recently handled a complaint for a client from Sandown who had been paying for her Advantage Gold Account with Natwest. Natwest initially rejected our complaint that it had been mis-sold and we took her case to the Financial Ombudsman Service where it was upheld. 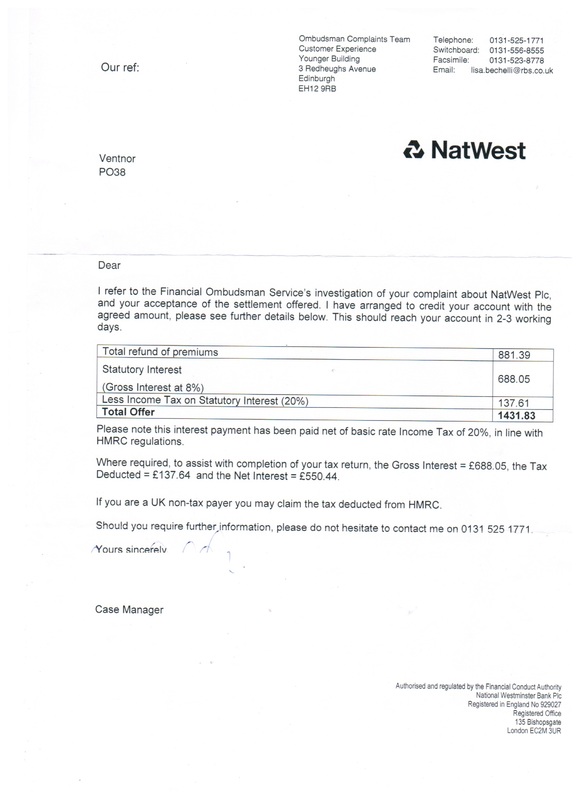 The refund our client received was OVER £1400′. We had already recovered over £50,000 of mis-sold PPI for this client and her husband, but £1,400 is still a LOT of money for most people’. Here is an example of an offer from Natwest in respect of the mis-selling of an Advantage Gold account to one of our clients. If you want JMP Partnership to take a look and see if your ‘PREMIUM’ bank account was mis-sold and if you are entitled to a refund, Call on 01983 403390, email us at mail@jmppartnership.com, or fill in your contact details here http://www.jmppartnership.com/contact/ and we’ll come right back to you.